The Common Green Darner (Anax junius) is one of the most common dragonflies in North America. Many of them migrate south for the winter, somewhat like the Monarch butterfly. As with Monarchs, the migration in intergenerational. 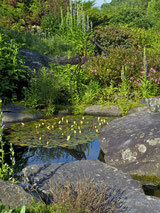 The Green Darner that flies south in the autumn dies, and the next generation makes the trip back north in the spring. 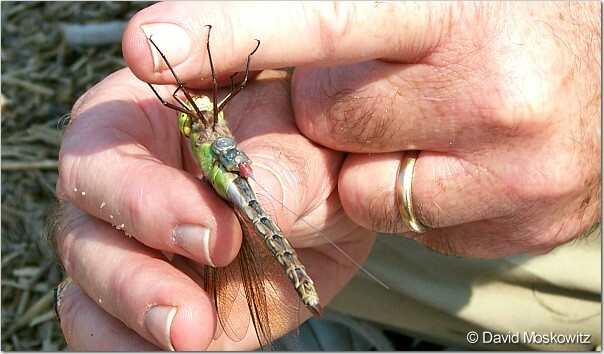 Researchers at Princeton and Rutgers Universities tracked 14 Common Green Darners with miniature radio tags in 2006. They discovered that migrating dragonflies and songbirds exhibit many of the same behaviors, suggesting the rules that govern such long-distance travel may be simpler and more ancient than was once thought.